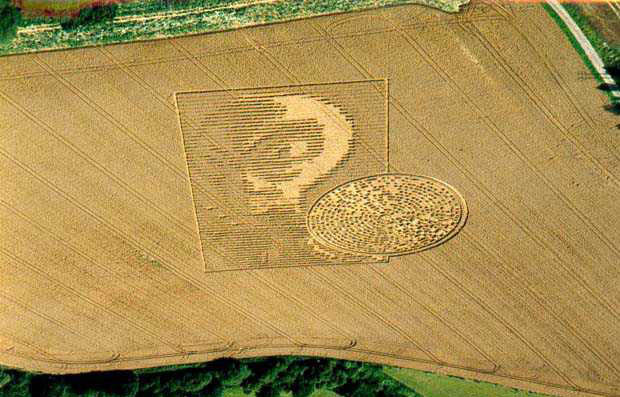 This crop circle was reported on August 15, 2002, it was at Pitt, just East of Winchester, Hampshire, U-K. 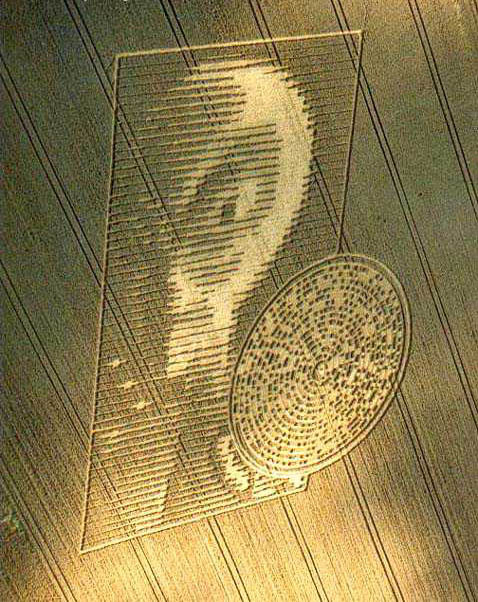 The photographs are from Lucy Pringle who had been investigating crop circles for a long time. Allow me to stress that I make no statement as of the cause of this unusual formation. The eye of the "alien" shown here bears little resemblance with usual descriptions of close encounters witnesses.